The word icon is liberally tossed around the modern music industry. But casually dressed and exceedingly loyal to his vocation, familial House veteran Steve Angello has encapsulated those values with more persuasive vigour than the vast majority of his long serving peers. Never one to hinder under the weight of tribulation, his legacy can be found as comfortably cramming the venues once unfathomable to Electronic Dance Music as it does the Beatport charts with essential new talent. Passion may have seen him pioneer the Stockholm underground, but innovation has seen him join the ranks of luminary mafia man. 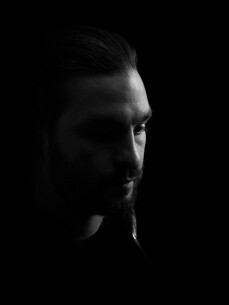 You may not know it right now, but somewhere along the lines you have heard the sounds of volatile Swedish don Steve Angello. From the billboard charts to the club floor, his heartfelt diligence and workhorse studio ethics have placed him firmly at the top of his game, while his part as one third of Europe’s most prevalent House assets to date is certainly a royal feather in his already well-plumaged cap. Though the days of finding Steve in an intimate venue may be limited the memory of his early movements, but having cut his teeth at the globes finest nightspots amid a time of genuine Electronic elevation, Steve’s own live presence has become an increasingly agile display of showmanship and turntable dexterity. Taking the reigns at infamous stages across the globe and boasting annual residencies for the White Isle’s most prestigious night spots, not even Madison Square Garden has proven too daunting a task for his uninhibited live persona. Add the ever-expanding Size Matters concept that has swept through every worthy global festival and seasonal gathering alike, 2012 promises to be another year of rapid expansion for the already well-travelled antics of Size Record’s undefeated live House accolades. Where some say that running a business is like riding a rollercoaster, the industrious footsteps of Steve Angello have equated to quite the ride. Producing for Interscope in LA and establishing Size Records in 2003, his hunger for universal success has seen him scale the charts and clubs alike with a refined array of musical gems. With such signature Beatport smashers ‘Knas’, ‘Rave N Roll’ and forthcoming stormer ‘Yeah’ accompanying his infamous Size edits for Junior Sanchez and Tim Mason, Steve’s ability to bring the soulful stylings of prestigious House asset Robyn S back to the global charts in 2009. Add astounding remixes for Pendulum’s ‘The Island’ alongside industry peers Max Vangeli and AN21 and his own cut of Alex Metric’s ‘Open Your Eyes’, his unassailable musical sights have truly made for an intense discography of assorted. Amid his industrious actions, his part in the Swedish House Mafia has proven one of the more game changing chapters of his musical legacy. Pitting the dexterous sound of his like-minded peers into wave-upon-wave of universal club fuel, from ‘One’ to ‘Greyhound’ their reign has far overstretched the aptly assumptive title of chart-breakthrough ‘Miami2Ibiza’. The commercial wave was undefeatable, but Steve and his likeminded peers have successfully injected some passion into the epitome of global Dance music infamy. Steve is undeniably a businessman through and throughout. Investing in fresh talent with a familial commitment to his peers, his ability to champion the digital market with wave-upon-wave of enigmatic global talent comes second to none.